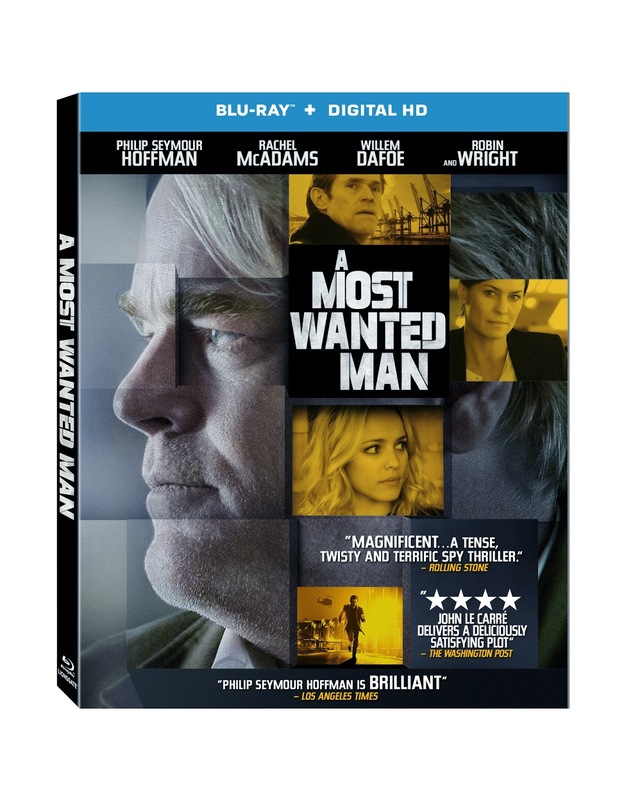 Lionsgate recently announced the upcoming DVD and Blu-Ray release of "A Most Wanted Man". The film is directed by Anton Corbijn (The American) and stars Phillip Seymour Hoffman in one of his final films before his death earlier this year. It also stars Rachel McAdams (The Vow, Red Eye), Golden Globe® winner Robin Wright (TV’s “House of Cards,” Forrest Gump) and Academy Award® nominee Willem Dafoe (Best Actor in a Supporting Role, Platoon, 1986). Special features on the DVD and Blu-Ray includes “The Making of A Most Wanted Man” featurette and “Spymaster: John le Carré in Hamburg” featurette. "A Most Wanted Man" hits stores on November 4th. In what would become his final starring performance, Academy Award® winner Philip Seymour Hoffman (Best Performance by an Actor in a Leading Role, Capote, 2005) leads an impressive all-star cast in the “tense spy thriller” (Wall Street Journal) A Most Wanted Man, coming out of the shadows and onto Blu-ray™ (plus Digital HD), DVD (plus Digital) and On Demand November 4 from Lionsgate Home Entertainment. Directed by Anton Corbijn (The American), the 2014 theatrical release will be available on Digital HD October 28. Inspired by true events and adapted from the acclaimed novel by master spy novelist John le Carré (Tinker Tailor Soldier Spy, The Constant Gardener) and adapted by Andrew Bovell, A Most Wanted Man boasts powerhouse performances from Rachel McAdams (The Vow, Red Eye), Golden Globe® winner Robin Wright (TV’s “House of Cards,” Forrest Gump) and Academy Award® nominee Willem Dafoe (Best Actor in a Supporting Role, Platoon, 1986).